Thanks in part to the fabulous British Airways sales of last week, hotels in London have been a hot topic around here. Ben has been deliberating options for his Thanksgiving trip (and I’m sure he’ll have a post on that process at some point), and it’s been a big topic of conversation over on the Ask Lucky forum as well. I love London, and it’s one of my favorite cities to spend time in, but the hotel market (especially when using points) can be absolutely maddening. There are a ton of options, but there aren’t really any standouts (especially when using points). Which can definitely work to your advantage, as you have many more redemption opportunities, but I’m not going to lie — there isn’t a no-brainer perfect option. Obviously everyone is going to define “best” differently, but I can assure you there is no perfect combination of location and value in London. I’ve probably spent as many hours agonizing over the “best” choice for a hotel in London as I’ve actually spent at hotels in London. So don’t do that — it honestly doesn’t help. If you only have points or status in one or two hotel programs, it might make sense to pick a hotel based on the reviews and location of a specific hotel. If you don’t have points at all yet, and are trying to figure out which to accumulate, or if you’re like me and have points everywhere and that’s what makes this so impossible, then filtering by neighborhood can be a good place to start. The zones start in the center, so Zone 1 is the white area, with Zone 6 (and Heathrow airport) in the pink area. This is a little arbitrary, but typically if it’s your first time in London, you’re going to want to stay in Zone 1. There are still some great properties in Zone 2 (and beyond), and we just had a fabulous trip out in Greenwich, but for first-timers central London is just going to be more convenient. 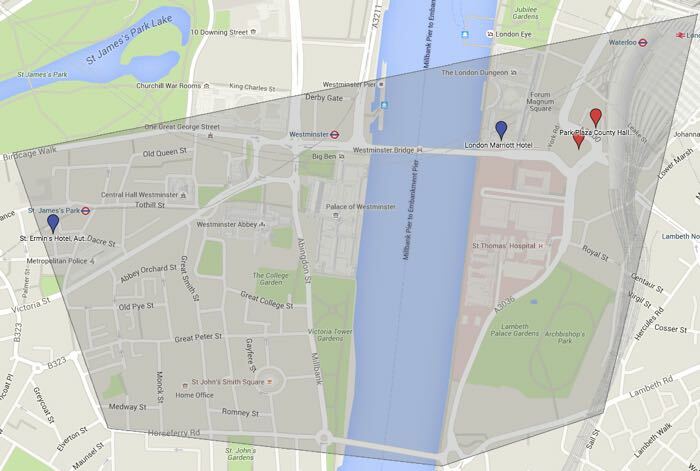 This will put you closer to most of the museums, Buckingham Palace, the key shopping districts, etc. This is tricky, and really depends upon your personal preferences. (Also, apologies to Londoners in advance, because I’m about to merge several neighborhoods, divide others, and make myriad sweeping generalizations. It’ll be okay, I promise, but feel free to add more specifics in the comments). Fundamentally, if you’re in Zone 1 you’re going to be just fine in terms of neighborhood. There are some that I prefer more than others, but as long as you read the reviews of your target property and can avoid a generally unpleasant intersection or something, you should be fine. In terms of being close to “the sites” there are tradeoffs — the Tower of London is a haul away from most of the museums, and neither are particularly convenient to the Theaters, and so forth. So I don’t personally feel there is a perfect location for everyone, but a given location might be more perfect for you, if that makes any sense. Given that, there are six main areas where most of these hotels are clustered, so let’s walk through them. This is one of the posher areas of London, and if you’re envisioning traipsing through Harrod’s or sampling the various museums, this is a great location. There are also some great independent hotels in this neighborhood (The Berkeley is lovely), and a surprisingly large range of prices. You can take the Tube directly from Heathrow without changing trains, which is a huge plus for many. And it’s a very safe area, with lots of beautiful row homes and nice gardens. I find the area a bit stuffy for my personal preference (I just asked my husband how he would describe Knightsbridge and Kensington and he responded with “miserably fashionable.”) So it’s clearly not our cup of tea, but I know other people enjoy that vibe. Hotel pick: For SPG Platinums, the Park Tower is a fine choice. Otherwise I think the smaller/independent hotels are generally better here. Park Lane / Oxford St. Typically, I think when people say they want to be “near everything” in London, they’re imagining an area like this. You’re close to the parks, which are great for strolling or cycling through on the way to other sites; the main shopping areas run down Oxford St. and Bond St., and you’re generally a quick Tube or cab ride away from most of the things you might want to see. The downside, because there has to be one, is that these properties are pricey. Even when using points you’re looking at very high redemption rates, and you really are paying for the location. Hotel pick: I don’t think you can go wrong with any of the higher-tier properties in this area. I like The Intercontinental, JW Marriott Grosvenor House, The May Fair, and Hyatt Regency Churchill. The Park Lane is best avoided though. On the plus side, if you want to be in the thick of things, you really can’t get more central than this. On the downside, you’re right in the thick of things. If you’ve stayed in midtown Manhattan it’s a similar experience to being in the area around Piccadilly Circus (not a circus) or Leicester Square (not a square). It’s a fun area, there are great, hip, restaurants in the adjacent neighborhoods, and you can’t beat the proximity to the West End. But be prepared for lots of traffic and a wall of people when you walk anywhere. That said, there are quite a few independent hotels in this area, and even the chain hotels on the South side of the river have large (for London) rooms. The Marriott and Club Carlson options on the South Bank are probably the best points hotels in the city for an “all around” balance of convenience and price. If you’re traveling with a kid (or two), I’d probably start here, as the rooms are a bit larger and tend to have a higher occupancy. I’ve had some great stays in Southwark, and the area can be downright cheap on the weekends. You’re still close to many of the things that you might want to see — the Tower and St. Paul’s are just across the river, and there’s some interesting history on this side of the river. You’re also only a few Tube stops away from central London, and the area is pretty walkable. The markets are great, and on sunny days the people watching at Potters Fields is fantastic. However, this is a bit more of a business district, so a lot of the shops and restaurants close up pretty early, and you are a bit further out. This is my favorite neighborhood to stay in when visiting London, but it’s probably not going to be your first pick, if I’m being very honest. I love the proximity to Shoreditch, the markets at Leadenhall and Old Spitalfields, and being able to stumble over to Brick Lane for a curry. 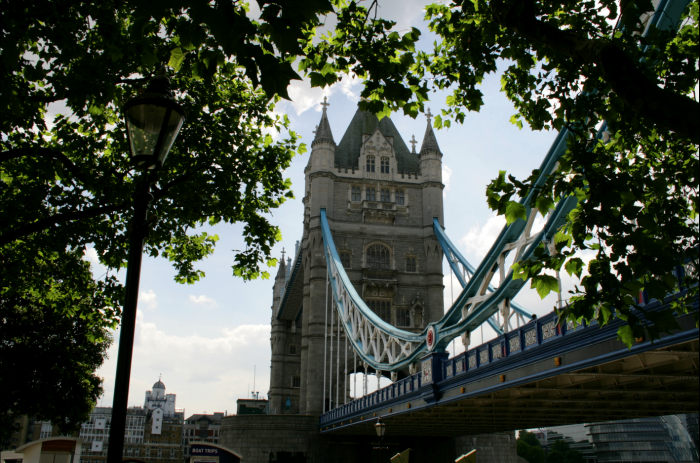 The Tower of London and St. Katherine’s Docks are an easy walk or cycle away, and you’d be hard-pressed to find a shop selling “I <3 London” t-shirts. That being said, you are a few minutes further from the central core. 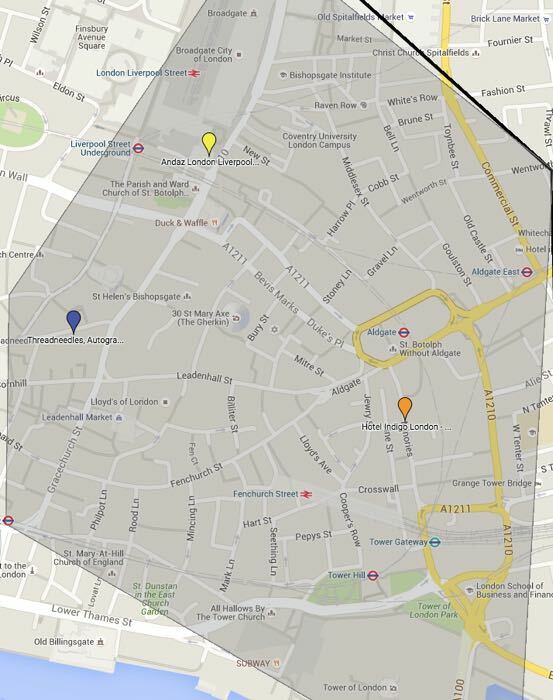 If you plan on going to the theater or to restaurants in Mayfair or Soho every night this might be a bit inconvenient. Hotel pick: Andaz Liverpool St.
As I mentioned a while back, the majority of hotels in London have a maximum occupancy of two people, sometimes allowing a child under 12. I don’t know if this is due to fire codes or tradition, but it can be a real obstacle. Again, it will depend on the specific property, but should give you an idea as to what to expect. London has thousands of hotels, and it’s not a city where I feel there is a single (or even a half-dozen) “best” options. But there are many solid options, and with a bit of consideration as to your priorities you should be able to redeem points at a good value as well. What about you? 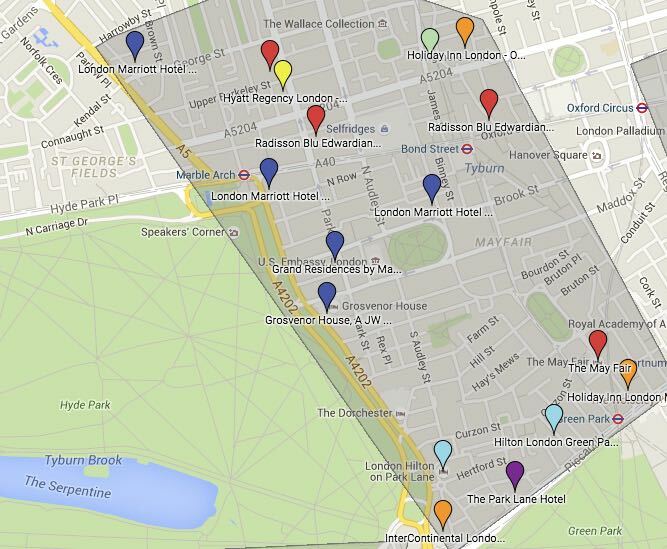 Any favorite (or least-favorite) hotels in London? It’s A Bird… It’s A Plane… It’s The Qatar Airways First Class Lounge! As a South Londoner, I’d give the new-build Hampton by Hilton Waterloo a look. It’s much higher end than a Hampton in the US, reasonable for London prices, and right next to Waterloo station (Southwark) and the South Bank with all its bars, restaurants, the National Theatre, and adjacent to Kevin Spacey’s Old Vic theatre. Agree that London has plenty of good choices, but no one option is an obvious standout. My next London stay has four nights near the British Museum, at the Radisson Blu Edwardian Bloomsbury Street. It receives reviews on TripAdvisor averaging the equivalent of 4.5 stars, and the rooms appear to be up-to-date and adequate in size. I also have one night booked with an annual IHG Chase free night cert at the Crowne Plaza The City. The rooms are very large, and this particular Crowne Plaza reportedly is known for giving free perks (like lounge access) to IHG Platinum members, which many of us have compliments of our IHG Chase Visa. Seriously debated staying at The Mayfair, a Club Carlson hotel, but was turned off by reports that the hotel has an on-site casino, although it may be fairly discrete. Also considered the London Intercontinental. Loved the location, but was deterred by the Intercontinental’s small rooms, figuring I would need to pay at least $100 a night to upgrade to room that might still feel cramped. Tiffany, I’ve really enjoyed your recent posts – specifically this one and the one on Hawaii via points. The amount of work that went into this is blowing my mind and is so incredibly helpful. Thanks! You did not mention the new Great Northern Hotel with Starwood, which while in a bit of an odd location is an appealing price point using SPG points. I also don’t agree with the Park Lane hate for SPG loyalists. It’s not the best hotel, and apparently it’s quite a construction site right now, but personally I find it hard to stomach Cat 6 prices for tiny hotel rooms in London, so I find the Park Lane quite acceptable. Another important consideration is how one is planning to get to and from London, and particularly for most how one is planning to get to and from LHR. Properties along the Piccadilly line typically get a bump in my book for that reason. @ Andy — Aww, thank you! @ edd m — That’s a good recommendation, I’ll add it to the map! Fantastic post! As someone who has been living in London for the last five years I totally agreed with your assessments. You’ve made London so much more accessible to everyone. Bravo. Your research and maps display the love you have for the city and travel. @ W. — That’s a nice neighborhood, and if you’re a fan of afternoon tea Bea’s of Bloomsbury is one of my favorites for a casual treat. I’ve stayed at the Crowne Plaza The City, and the rooms were indeed large for London. The area buttons up quite early in the evening, but it’s convenient enough to go elsewhere. @ Carol — Indeed, and that’s been my experience as well. Perfectly fine for me, but probably not what I’d recommend to a first-time visitor! @ Bgriff — Well, I added the Great Northern to the map, and I’m looking forward to staying there personally, but the location is just odd for tourists (I think). @ The Dude — That’s high praise, thanks! Oh well done Tiffany – you managed to get through all of that without offending this notoriously touchy Londoner for once. Good and thorough work! @ Leo — Hah! Thanks! Concurring with others on the value of this post. Stayed in London this spring for the first time and probably took me a few hours to suss out the value of each area. One hotel that’s in your Google map but not mentioned in your write up is the Conrad St. James in Westminster. We ended up staying there with the 2 free night certificates from the Citi Hilton Reserve card. Getting that card 6 months before the trip turned out to be a great idea because we got the nights for free, and the gold status with the card meant a great free breakfast at the hotel restaurant. Totally agree with your assessment of that area as being a great area to stay in that’s close to everything but not too crowded. Probably our favorite activity was having lunch in Notting Hill and then walking all the way back across Hyde Park, Green Park, by Buckingham Palace, then St. James’ Park back to the hotel. It’s also directly across the street from a Tube station, you can be on a train 4 minutes after leaving your hotel room. Would you have a recommendation of the best Hyatt property to stay at using their free night certificates? I assume the Park Lane mentioned in the article isn’t the Marriott Park Lane. Location of that property is excellent. We once stayed there for a week on points (our only “points stay” in London). A long time ago. Shortly after it opened. The room we had was very small (especially by my current standards). But nicely furnished with plenty of built-ins. With some higher end touches (like Molton Brown toiletries – I remember that after all these years because it was how I “discovered” Molton Brown). The hotel restaurant was good at the time – and the hotel flowers were done by one of the “Royal” florists (and were gorgeous). It was kind of like staying in a small cabin on a luxury cruise ship. I don’t know anything about the hotel or the Marriott Rewards program today. Although I noticed this hotel is a category 9 now – which probably means you need a ton of points for free stays. Neighborhoods are perhaps less important in London than in other places in terms of getting around. Because getting around is so easy. Especially by tube during the day. We stayed at the Rosewood earlier this year (because we wanted to stay at/try the Rosewood). It is probably not in the most “tourist friendly” part of London – but it’s a couple of hundred feet from the Holborn tube station (being relatively close to a tube station in London *is* important IMO). Where the trains got us to lots of places very quickly (like 30 minutes or so to Chiswick – a suburb). And – on one occasion – we took a bus from the London Design Museum in the general direction of the hotel – and were amazed that it stopped right in front of the hotel (my husband feigned anger – why couldn’t it pull into the hotel courtyard ?). I agree with the article that you can go nuts trying to pick hotels in London (and that is probably especially true if you’re trying to do a stay on points). Also – although I liked our most recent trip to London (especially the dining) – I found some major attractions like the British Museum were unbearably crowded and not enjoyable. Best to go in off season these days – or stay off the beaten path. Tiffany: your posts are simply the best. Keep these very usseful posts about cities coming. When in London I prefer to stay on boutique/independent properties. My favorite are the Covent Garden hotel in Covent Garden and the Ampersand in Kesington. @ DCJoe — Great insights, and fantastic use of the Hilton certs! You only have two choices for Hyatt’s in London, and it just really depends. The Churchill is more traditional, and people tend to like the neighborhood. The Andaz is more edgy, and if you don’t get a room with large windows it can be a bit miserable. I’d go by neighborhood, probably. @ PVBGirl — Oh no, it’s the Park Lane No-Modifiers affiliated with SPG that’s a bit…not good. The other “____ Park Lane” or “Park Lane ____” are fine. And totally agree on how convenient the bus is. I take the bus far more than the Tube these days. The Marriott Park Lane recently underwent an entire property renovation, and Golds get club lounge access/breakfast. Great location near the Tube and right across from Hyde Park. The only downside is it’s a Cat 9 hotel since the renos, so not a “cheap” redemption. Not sure if that’s the property Tiffany is referring to? If yes, why should it be avoided? Just wondering (if I should worry) since I have it booked for a future stay, and from what I can tell, the standard rooms are larger than St Ermin’s and perhaps even the Edition, as far as the “newer” Marriott properties go. @ Santastico — Thanks! The Ampersand looks charming, great suggestion. @ LindaK — Nope, the Marriott should be lovely, and I’ve heard nice things about the club lounge (though haven’t stayed there yet). Tiffany- didn’t realize there were so few Hyatt properties in London. In a way it’s good that there are two very different options for Hyatt loyalists. One of the difficult parts about using the Hilton certficates was choosing among the 15 or so Hilton properties in central London. I mention the free night certificates because London is probably one of the best cities in the world to get a lot of value out of them, considering how much a hotel room costs, either in points or cash. Even Paris, our other city stop on that trip, turned out not to be worth using certificates or points, because of the amazing Airbnb options in central Paris for only $110-125 a night for 1 bedroom apartments. You really can’t get anything like that on Airbnb in central London for under $225 a night. There is a brand new Staybridge near Vauxhall – an excellent value for 35K IHG pts. It is tucked away in a residential side street next to the City Garden. 5 to 7 min stroll thru the garden you are at the Vauxhall station for both the train and the tube. You could take a short bus ride to Waterloo or you could stroll along the embankment towards Westminster. All rooms have a fully equipped mini kitchen with real cook tops, microwave, toaster, coffee maker, and a sink. Breakfast is included and has decent offering, especially the varieties of milk/juice/yogurt/fresh fruits. We really like this area after our 6 nights stay in Sept – the South bank is very lively at night. Would prefer this area over the Hyde Park area even for first timer. Bus 139 starts from Waterloo is a great way to see London in a leisurely pace in lieu of the Hop On Hop Off and costs less than 1.5 GBP a ride with the Oystercard. We used free night certificates at the intercontinental park lane and free ones for the Hilton around the corner, for four nights, really easy to change hotels. And a nice redemption for the free nights. Would recommend that for people with the free nights certificates to burn. I highly recommend staying at The Haymarket Hotel. It’s a luxury boutique hotel next to Trafalgar Square. The rooms were spacious and service by the staff was simply amazing. Two summers ago we stayed at the May Fair and received a great corner room. This was when you could get two nights for 50k points, and I’m still kicking myself for not going back while rates were still low. Now it’s 70k per night, the B1G1 night benefit is gone now. Too rich for my blood now. All of the Club Carlson hotels in London proper are now 70k points a night. I have to echo some of the comments above. You are by far the best contributor to this blog. Your posts are informative, clear and concise. There’s no hint of snide or sarcasm in your writings, just well thought out authoritative information. Whatever Ben pays you is not enough! There is a brand new Hilton London Bankside that just opened up this month. I believe it would be considered south London. We booked it on points for our family of 4 for next May, but i think they have an error in their points system, so we jumped on it quick. It was 70k point for a normal room, or 70k points for a family deluxe room, which sounds like its basically two connecting rooms. I made printouts of all the pages in case they try to change it as it specifically says it accommodates 4, which can be hard to find in London at a normal redemption rate. The family deluxe room had a rate of about 700 euros a night for our dates, so its a good redemption value even at 70k points. So far the reviews are extremely positive too. 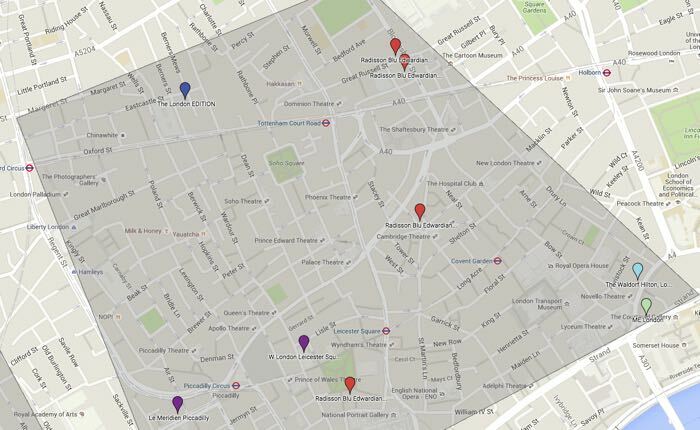 If Leicester Square is not a square, what is it? Does anyone have a favorite of the Hilton brand hotels (17) in Zone 1? This is a fabulous resource. Thank you!!! @ FLL — Wow, sounds like a great option for families, thank you! @ Kate — Great redemptions! Nicely done! @ Alok — Nice recommendation, particularly if you’ve found spacious rooms in London. Thank you! @ Ken — Indeed, but comparatively they’re still a decent value. Many of the Hilton and Marriott options are 90k+, if you can believe it! @ David — Thank you for reading, you’re far too kind. @ Trup — That’s a steal in comparison, and I like the Southwark neighborhood quite a bit! Excellent informative post and gracias also to the commenters who have contributed other good info. @John: I’ve always pondered “Madison Square Garden” in NYC which is neither square nor a garden! 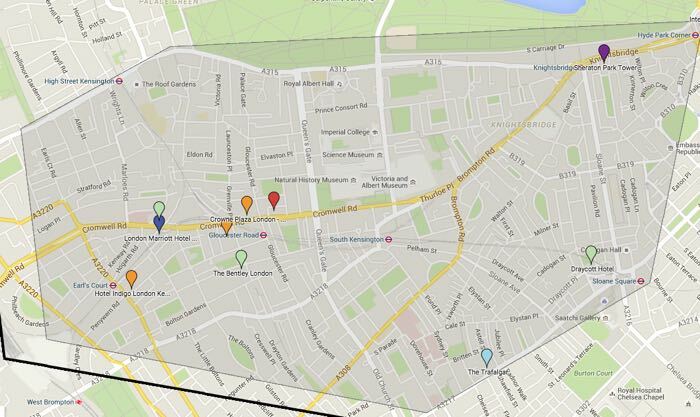 However, I’ll be staying in the bloomsbury area in an tiny room with breakfast for 73 gbp near the Russell Sq. stop, as it’s most convenient, at an independent hotel. @Tiffany thank you so, so much for this excellent and informative post! I am visiting London in the next year or so and will definitely save this one for reference! I just love your posts and would really love to hear from you more often. Your Hawaii post was super helpful too! May I add my own recommendations? The Connaught in Mayfair is my favorite hotel in London. It’s grandly English and would be perfect for those seeking a Downton Abbey experience. The Connaught Bar is one of the world’s great hotel bars. And I still dream of the Helene Darroze restaurant. Unfortunately, the Connaught can be breathtakingly expensive and not available on points. For the geographically adventurous, there is the Town Hall hotel in Bethnal Green, which lies in far East London. Bethnal Green is definitely rough around the edges and is not within walking distance of anything of historical interest. But the Town Hall is an absolutely stunning hotel in a beautiful building. The rooms are enormous by London standards. There’s a swimming pool. And the rates are a downright bargain. Contact the hotel directly to book one of the gorgeous specialty suites (with 14ft ceilings! ); the rate will be comparable to the rate for a tiny standard room at a central London hotel. The Town Hall’s bar & restaurant are see-and-be-seen favorites, especially with the Shoreditch set. Town Hall is such a great hotel and, with rates this remarkably reasonable, it is definitely worth being exiled in Bethnal Green. And the tube station, which is on the Central Line, is a short stroll from the hotel’s front door. A truly outstanding choice. Thank you so much for putting this together! I think ponts-focused cIty reviews like this are a niche that is 100% missing in the blog world. I really wish I had this exact post when I visited places like Bangkok and Tokyo. I really hope you produce more of these types of guides. Great post, Tiffany. A great guide for first-timers! As someone mentioned above, the work that went into creating the interactive map is tremendous and you are a legend! If the great northern gets a look in then the St Pancras Renaissance (Marriot) should get a look in. A great location for the tube, Eurostar and trains to the north and a stunningly beautiful building. Excellent post. I love how your back down the zones. My last stay was near Russell Square which I loved. @A I would ask the name of the independent hotel you mentioned gif 73 pounds.. I do think that staying in Kings Cross does merit consideration. In addition to the Great Northern (their restaurant the Plum and Spilt Milk is great) there is also the Marriott Renaissance St Pancras sited in arguably one of London’s most iconic buildings and obviously really convenient for any one taking the Eurostar to Paris or Brussels. Kings Cross has changed hugely over the past 30 years and is now really buzzing and hosts an amazing selection of restaurants clustered around the new Granary Square development. It is also only a 15 minute stroll to the West End which takes you through Bloomsbury one of the cities most interesting areas. Great post Tiffany! Love the format and how you laid out your research. I am bookmarking this for future trips to London – and I am now more interested in neighborhoods that I had once dismissed. Thanks for sharing! This blog could use a revival with posts like this at least frequently. Helpful, but not nearly as helpful as Loyalty Traveler’s recent post on this issue recently. Sorry. Wonderful post, thanks Tiffany! My wife and I have a 1 day/1 night stopover booked for London in early May – do you have a recommendation on where to stay for someone who has never been to London before to get the best “London experience” in such a short time? We have points and status with Starwood and Choice. Again, thank you for an incredibly helpful post! @ FlyKatFly — Aww, thanks! I am trying to write as often as I can, and appreciate you reading! @ Imperator — Incredible recommendation, thank you! Will certainly check out the Town Hall — sounds like my kind of place, actually. @ Lisa — There are some good Choice Privileges properties in Kensington, so if you can handle waiting to book until their window opens those could be nice. Otherwise probably the Le Meridien Piccadilly? You definitely want to be close to the Piccadilly Line for the Tube with a stay that short. 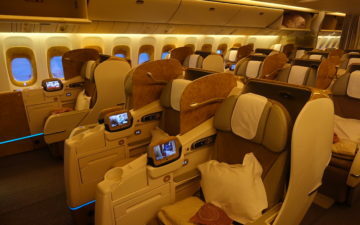 Of course, depending on the time of your departing flight, it could also make sense to stay near the airport, and just go into the city for sightseeing and dinner. Depends on when you want the commute to happen, really. do y’all ever use awardmapper.com to find hotels? clearly your post is more comprehensive for London, but i find that website invaluable when planning any trip. Yes, I use awardmapper.com all the time. Tiffany – completely agree with your recommendation for staying in City of London/Shoreditch area. Boyfriend and I recently stayed at the Andaz Liverpool for 3 days on our first trip to London (both used free night from Hyatt card sign up). Our friend recommended it over the Hyatt Churchill due to its location. Our room was perfectly fine, no view to speak of but we pretty much only came back to rest mid-afternoon and sleep at night, and I loved the free water/snacks and wine in the evenings, which we were only able to take advantage of once. The breakfast is an absolute rip off, though that doesn’t seem out of sorts for London! For first-timers the location was great for us and our particular interests. We didn’t want to do a lot of the “touristy” stuff so staying close to Buckingham Palace and the like wasn’t a huge draw for us. Proximity to some cool Shoreditch spots and Brick Lane was a huge plus. And, the Andaz is practically on top of Liverpool station, so it’s easy to get just about anywhere – or, walk down the Thames and stroll along there and you’ll hit a lot of the big draws on foot! Agreed that it can be a bit quiet at night, but there were plenty of pubs and restaurants around, and it’s right across from Sushi Samba/Duck&Waffle which is apparently so popular it had a line out the door at 6pm on a Sunday. Highly recommended for first time visitors if you’re looking for a more low-key London experience and don’t care about being steps away from the tourist attractions. The IC on Park Lane has an amazing views from the Club. The Club offerings are really nice, but the view is the best, especially on a rainy day. Have you ever heard of Accor Hotels? Each and every time “major” hotel chains are mentioned, Accor is not brought up. Is it because there is no CC that offers referral credit? I know they have a (severely) small footprint in the US, but there are a lot of business travelers that read this blog and accumulate their points. I’m curious if you have any thoughts on the locations of the Holiday Inn Express Victoria vs. the Holiday Inn Express Southwark. Wife and I will be making first trip to London, and will be checking out the typical tourist attractions. Southwark seems to have better reviews. Or would one of the Holiday Inn locations (such as Mayfair) be worth not getting the free breakfast we get at HIE? Trying to keep nightly points to 35,000 or less. Hi! I’m going to London for the first time with my mom next May and I have enough SPG points for 4 nights in either the Park Lane Hotel or the Great Northern Hotel. I know that you don´t recommend the Park Lane, but I really want to use my points in this trip…. Which one of these 2 do you recommend for my first time in the city? @Daniela, if you have enough SPG points to redeem for four nights, keep in mind SPG will let you book five nights for the price of four nights. Also, if you book your stay with Starwood over the phone, you can ask your options to pay a few extra SPG points for an upgraded room. On one of our trips, we were able to book an upgraded room for something like 1,200 extra points a night, and it was completely worth it. Our room must have been twice the size of the smallest standard rooms at the hotel. OMG, I love you! Been trying to figure out London for weeks now. This is super helpful! BTW I ended up changing my Marriott Regents Park which seemed a bit out of town, to the Park Plaza, “Plaza on the River Residences”. $64 more per night than the original “large room” at Regents Park, but a 1 BR suite with balcony on the river and kitchenette.